$ git config --global user.name "你的用户名"
Your identification has been saved in /c/Users/Administrator/.ssh/id_rsa. Your public key has been saved in /c/Users/Administrator/.ssh/id_rsa.pub. 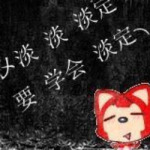 # grep str /tmp/test           	在文件 '/tmp/test' 中查找 "str"